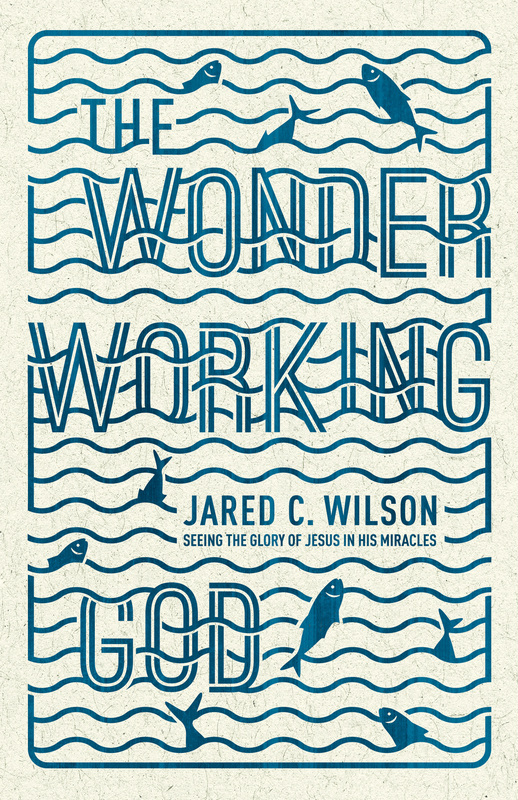 The Wonder Working God by Jared Wilson. I’ve always enjoyed Wilson’s books so I was excited to read this one. In this book Wilson dives into the subject of miracles and helps the reader understand what miracles are all about. Wilson says, “Miracles do not serve so much to prove that there is a God but that the Lord is God and we are not” (page 13). Throughout this book Wilson discusses various miracles Jesus performed and helps us understand what they reveal about Him. Many of the miracles that are discussed in this book are ones I have heard, read, and even studied many times, but I seemed to learn something new about each one of them from this book. I look forward to hopefully reading Wilson’s book The Storytelling God soon, in which Wilson talks about the parables of Jesus. 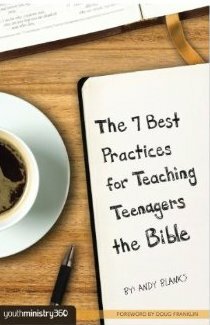 The 7 Best Practices for Teaching Teenagers the Bible by Andy Blanks. This is a book that has been on my shelve for a while. I try and read as many books on teaching and preaching as possible. Before taking this book off my shelve it had been awhile since I read a book on specifically teaching the Bible to teenagers. Since I do that on a weekly basis I’m always willing to learn more and sharpen my skills. In this book Blanks shares (you probably already guessed it from the title) seven best practices to help you become a better teacher of the Bible to teenagers. Teaching the Bible to teenagers is not an easy task and to do it well is even harder. In this book Blanks shares tons of practical advice and insights to help you become a better teacher. I’d encourage anyone who teaches the Bible to teenagers, whether that’s a full-time student pastor or a volunteer leader, to do yourself a favor and read this book. It’s a good, simple read that will help you tremendously. Better Safe Than Sued by Jack Crabtree. Student pastors and youth workers don’t always like the word “safety.” It’s an area that is often times overlooked for the sake of a crazy game or thrilling activity. Crabtree says, “Safety is one of the last concerns discussed as youth activities are planned and implemented” (page 13). However, one of our top priorities in student ministry should be the safety of the students God has placed under our care. We know the top priority is helping students come to know Jesus and grow in a relationship with Him, but another serious priority is keeping those students we are trying to reach safe. 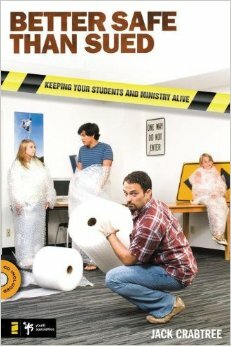 Crabtree says, “In addition to the important job of communicating the Christian message to young people, a youth ministry leader must also provide a safe, responsible environment” (page 20). In this book Crabtree helps student pastors understand the importance of safety and helping them stay away from any form of lawsuit or negative experience because safety was not a concern. I liked the wide range of topics regarding safety Crabtree covers in this book. Everything from driving and using vans and buses to sexual misconduct is discussed in this book. Also, there are some great chapters on safety regarding mission trips, retreats, and seasonal sports. There is also a very helpful chapter on bullying. This is one of those student ministry books that I believe every student pastor should read. It will make you a better student pastor and will help you create a ministry that is not only fun (which we all want), but also safe. Up next on my reading list is Courageous Leadership by Bill Hybels and A Fresh Look at the Book of Jonah by Greg Laurie. I also plan to finish Seven Men by Eric Metaxas and The Pursuit of God by A.W. Tozer soon.